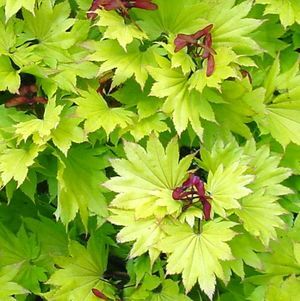 Larger fan leaf, yellow spring color, turns dark green in summer and orange-red in fall. Very slow, stubby, compact grower. Needs partial shade. Slow growing. 3' in 10 yrs.